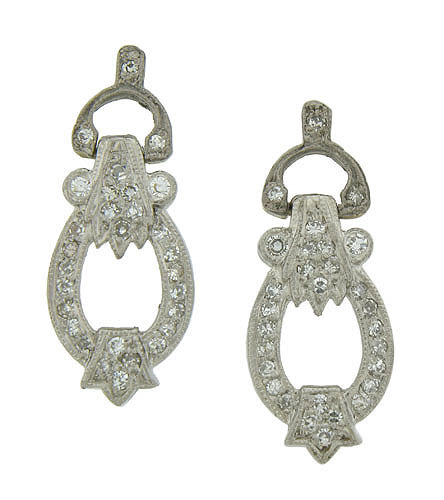 These antique platinum earrings features abstract floral decorations. A loop of fine faceted diamonds drape from the wishbone dangle. The Retro Modern earrings are set on posts and measure 1" in length, 6/16" wide. Circa: 1940.